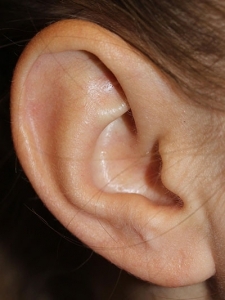 Elongation of the opening of an earlobe piercing as well as complete tears through the earlobe margin are very common deformities that Dr. Steven H. Turkeltaub—our experienced plastic surgeon—is consulted on and treats. The causes of these issues include the chronic wearing of heavy earrings over the course of many years, trauma such as caused by children pulling on one’s earlobes or earrings getting caught in clothing while removing garments over one’s head. These tears or elongations do not close up spontaneously so that surgical repair is necessary. This is accomplished by the excision of the margins of the opening or the cleft and meticulous contouring and repair which can be performed in the office using local anesthesia. 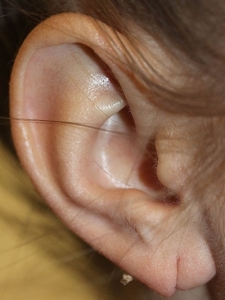 Re-piercing can be performed concurrently. There is no real downtime so that one can even return to work or school the same day. 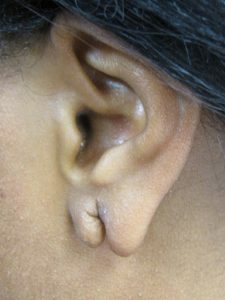 Sutures are removed one week later. 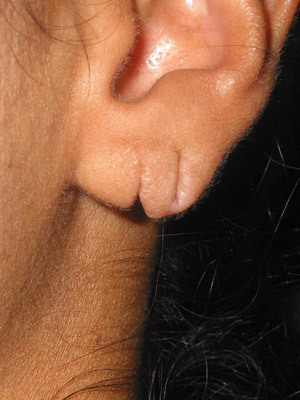 The ultimate result of this procedure is a normal appearing earlobe once again.